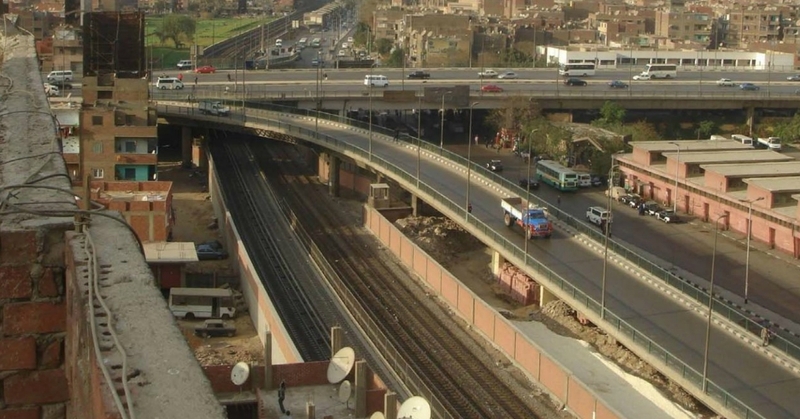 Contemporary urban developments exacerbate rather than solve Cairo's centuries-old divisions. The urban growth patterns of the Cairo metropolitan area reveal a fragmented city of heterogeneous parts. As an urbanist and Cairo native I tend to see the city as a series of small islands isolated from one another by strong physical barriers. Walls, highways, flyovers, military sites, abandoned waterfronts, parking lots and vacant lands all contribute to a city that is characterised by a fundamental lack of cohesion. What is more, there is no public realm that accommodates different communities. Rather, each social group is confined to a separate enclave. 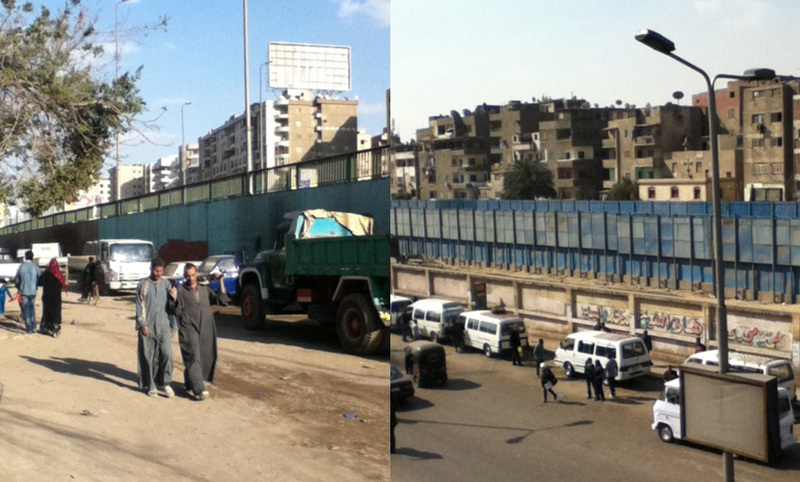 Urban segregation has been a continual feature of Cairo’s history. Fatimid Cairo (969) was a walled-city exclusively established for the ruling elite. In the Ottoman period (1517-1798), a Hara, mainly a gated residential quarter, was the basic urban unit of the city. Poor harat were located on the peripheries, while the wealthy bourgeois could be found in the centre. As Egyptian sociologist Nawal al-Messiri puts it, ‘Living in a hara, especially a closed hara, was like living in one’s own kingdom. The area was supervised and no person from the outside could enter’. These dynamics existed earlier in the Mamluk period, during which emirs would cluster around the outskirts of the city and surround their houses with gardens to segregate themselves from the citizens. More recently, the Khedivial city (1869), which was intended mainly for foreigners and wealthy Egyptians, was erected on vacant land west of the old city (although it eventually came to house the working class). By studying the city’s long history it becomes clear that Cairo is like a cracked vase, where fractures over many centuries have been etched into its physical memory. A cursory look at the more recent history of Cairo reveals that these fractures have persisted into the modern day. The idea of developing new towns in the desert began with the 1956 master plan and continued thereafter. In the succession of plans the intention was to make some towns freestanding and others satellites. Likewise, some of the towns were meant to be purely residential, while others were to be large industrial cities. These master plans failed as the proposed new towns didn’t manage to entice a significant population. Expensive housing and poor infrastructure dissuaded people from settling in what were ostensibly desert cities. Living in informal settlements was vastly preferred to these ugly towns whose only champions were the property speculators fueling their proliferation. El-Shakry has described how “many new towns were plagued by a hierarchical and divisive organizational layout, with clear segregation between high-, middle- and low-income groups”. Built following a 1977 Presidential Decree, Tenth of Ramadan is characteristic of this dynamic, divided as it is into three distinct class-segregated districts (for the upper class, lower class and skilled working class respectively). Given several decades to reflect on the self-evident problems produced by these plans one would expect lessons to be learned from these planning failures. In fact the failures continued unabated into the 1990s. 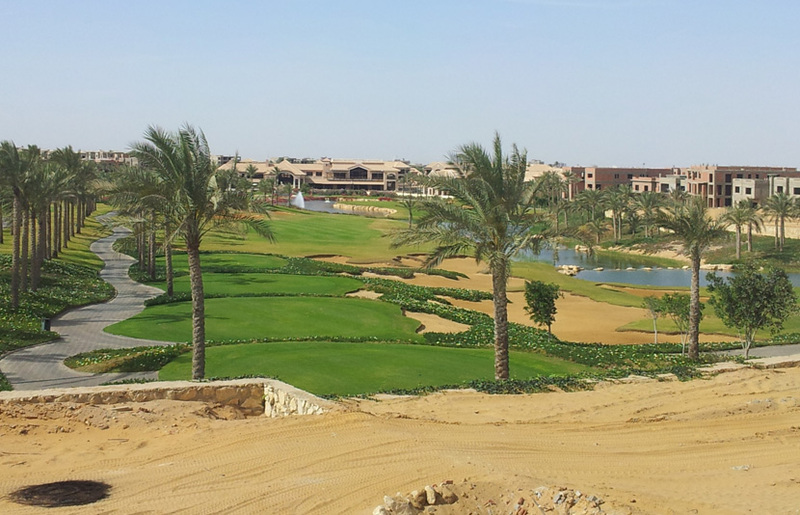 Over the last few decades neoliberal economic policies have contributed to the rise of elite gated communities, mainly located on the fringes of the Greater Cairo Region in the new urban communities of New Cairo and Sixth of October. Gated communities have attracted a burgeoning class of extravagantly wealthy Egyptians who have voluntarily isolated themselves from the rest of Cairo’s citizenry. In a bid to avoid the crowd and to have privacy and security, residents of these gated compounds have developed ‘trans-spatial’ relations with the urban environment. That is, they have become independent of the services in the actual spaces they live in (especially since they depend mainly on car and delivery services to meet their daily needs). 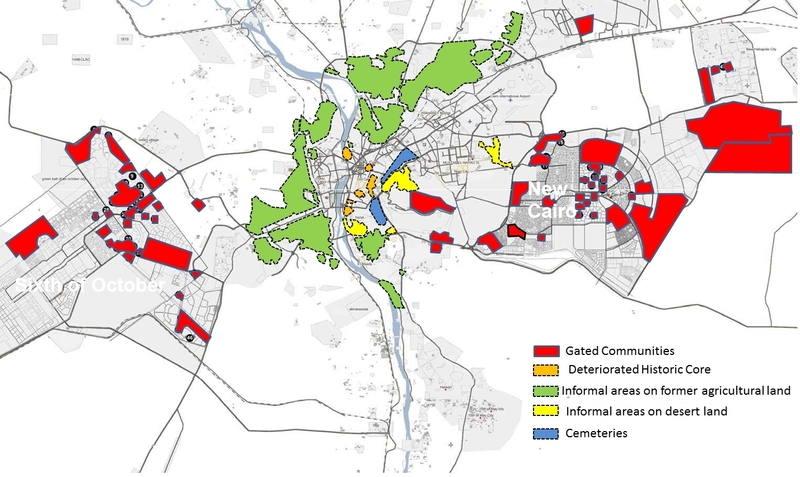 The spatial distribution of different areas in Cairo. Walls, fences and barren desert have isolated this prestigious group from the city and from the wider community. This has had the effect of accentuating a ‘them and us’ dichotomy and in turn reinforcing social exclusion in the city at large. As gated communities have flourished the chronic lack of affordable housing has forced rural immigrants and newcomers to cluster in less desirable locations (e.g. peripheries, railways, metro lines, highways, flood plains, canals, and steep slopes). Such random urban development has disrupted the overall continuity of the urban form. It has absorbed core villages and suburbs and treated different parts of the city as isolated objects, rather than as part of a larger urban system. Furthermore, pushing poor people to the periphery has brought about a mushrooming of vacant and underused lands in the urban core. These lost spaces are symptomatic of an ill-shaped and ill-planned urban environment. The broken connectivity that has resulted is arguably a main cause for the disinvestment and social segregation that prevail in the city. Analysing the spatial accessibility of Cairo shows that many informal areas are wholly divorced from their wider urban context. 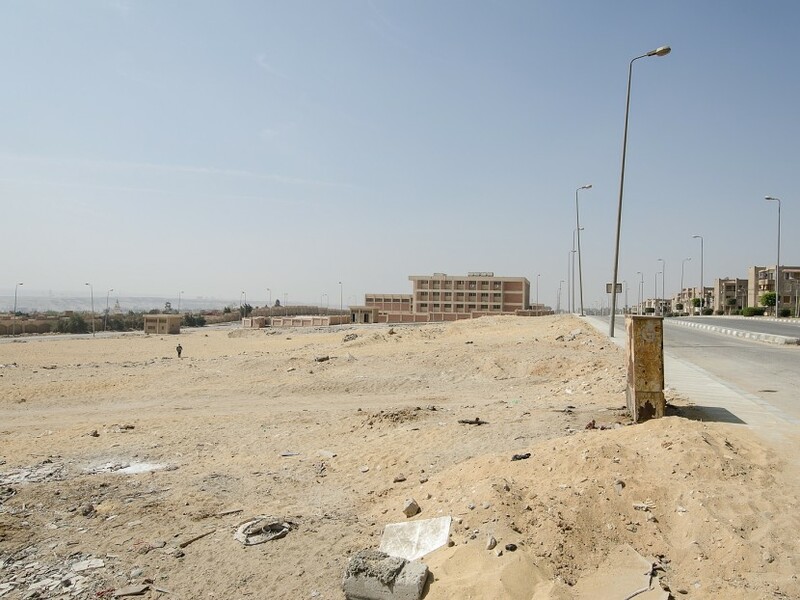 As an example, the informal settlement of Mansheit Nasser is in close proximity to downtown Cairo, while segregated from the urban core by the strong physical barriers of Autostrad expressway, cemeteries (The City of The Dead) and Salah Salem Road respectively. In this instance, a geography of hilly land has created a labyrinth-like street network with frequent dead-ends. Another notable example is Ezbet Al-Nasr area which is located at the intersection of the freeways of the Autostrad and the Ring Road. Here cemeteries and vacant lands surround the settlement, isolating it from its surroundings. Identifying these physical barriers and gaps should be seen as a first step in the process of urban restructuring. Those not local to an area will surely be encouraged to use it more were these barriers to be removed. Improving connectivity in this way is likely to generate new movement patterns that will draw in new economies, stimulate investment and so stimulate the “virtuous cycle” of regeneration. Cairo has become, or maybe has always been, a fragmented mosaic of wealthy enclaves, the poorest areas and everything in between. 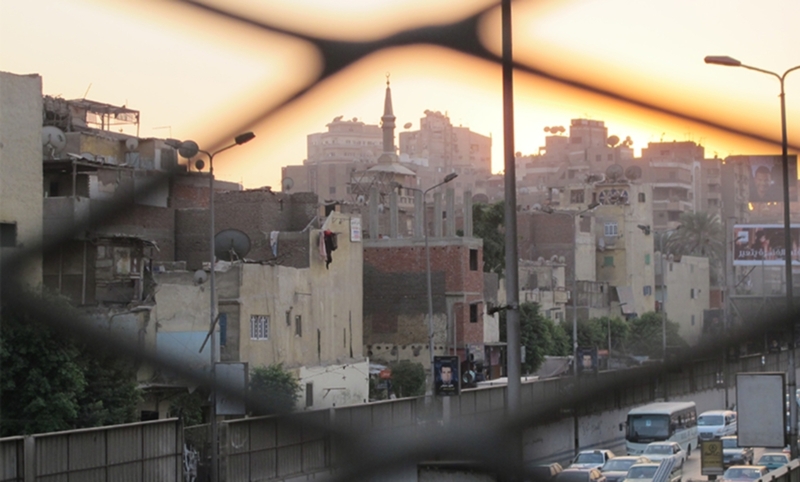 The social division of urban space and the discontinuities of urban development have produced sharp socio-economic and cultural differences in Cairo. Studying the forces which produce these poor spatial conditions would invariably help reverse the vicious cycle of urban decline apparent in the city. Physical segregation denies people their basic right to the city, but it also starves the city of its lifeblood and tears apart its social fabric. To combat this, dividing lines should be removed and gaps should be filled. Abdelbaseer Mohamed is a visiting scholar at American University in Washington DC and a PhD student at Ain Shams University in Cairo.